It’s often difficult for patients and their families to spend the holidays in the hospital. Being in an unfamiliar environment can be jarring, especially for patients who are trying to recover or aren’t feeling well. At Children’s National Health System, we try to create a holiday experience for patients that can be as comfortable and memorable as being at home. This past Christmas season was another stand-out year for Dr. Bear’s Toy Closet at Children’s National. Our donors, volunteers, and staff were more dedicated than ever to making the holidays bright for patients by stocking Dr. Bear’s Closet with more donations than we have ever seen. Dr. Bear’s Toy Closet is a yearlong program that guarantees toys for inpatients and outpatients at Children’s National during the holidays. This year, Children’s welcomed toy donations from more than 200 incredible donors and volunteers, including 10 Navy and Army soldiers, former Children’s patients, and plenty of Children’s own staff. In total, Children’s volunteers spent 900 hours stocking, organizing, and manning Dr. Bear’s Toy Closet. Donors have generously supported Dr. Bear’s Toy Closet at Children’s National, whether through in-kind donations or generous monetary donations. 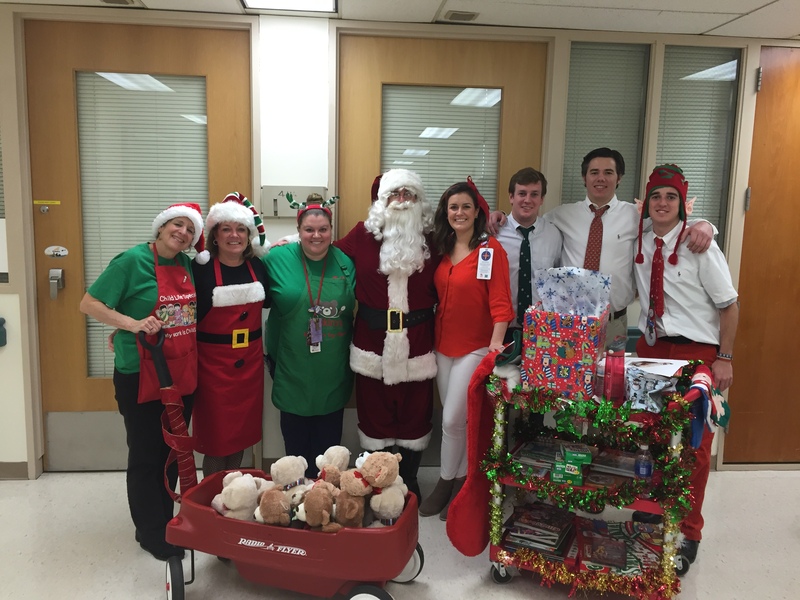 Donors dropped off 496 bags of toys across 61 Children’s clinics and inpatient units, and 23 extended campuses. In total, Children’s donated over 40,000 toys to 400 patients and families. Our patients’ families come to Dr. Bear’s Toy Shoppe, pick out gifts, and our volunteers wrap them for patients to receive on Christmas morning. Patients in both the inpatient and outpatient hospitals received their favorite gifts on Christmas morning. Patients also enjoy visits from Santa Claus and his elves delivering gifts and celebrate the day with their families. With the help of volunteers and donors, Children’s National is able to provide a happy holiday season to our patients, no matter where they might spend it.